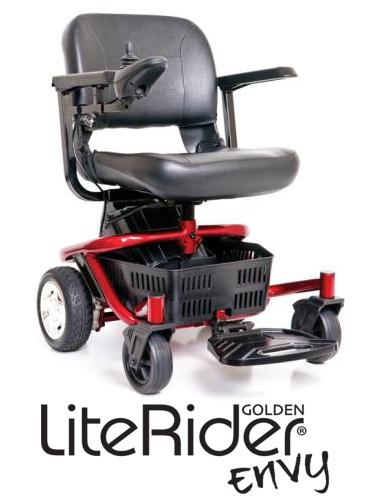 The Literider Envy is a super lightweight, easily transportable compact power wheelchair. Designed with the end user and caregiver in mind, the Envy quickly disassembles and fits in a standard trunk with ease. The heaviest piece weighs only 35 lbs! The Envy is not recognized by insurances as a billable item, and can only be obtained on a private pay basis. If you are looking for a compact, travel power wheelchair, the Envy is the perfect choice to fit your needs. Come and see for yourself at one of our retail stores and test drive it today.